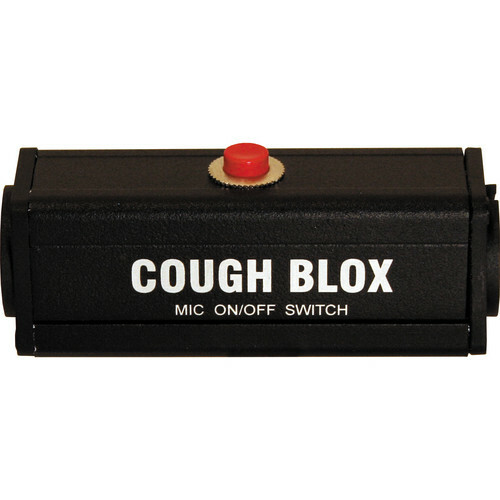 The COUGH BLOX Momentary Mute Switch from RapcoHorizon is used to mute the microphone during live events. By just pressing the button on the switch, the mic’s sound can be muted temporarily. The standard box design unit features XLR male and XLR female connectors at either end. Box Dimensions (LxWxH) 8.35 x 2.8 x 1.8"
Will this work with phantom power? No, it is designed to work with dynamic microphones not requiring phantom power. Asked by: Janos M. S.
Yes it's a momentary mute switch that is used for vocal mic's on stage. If you are a singer and you want to cough or clear your throat discretely. The mic signal passes through the box and allows you to step on the mute switch momentarily cutting the signal from the mic to the Sound System.